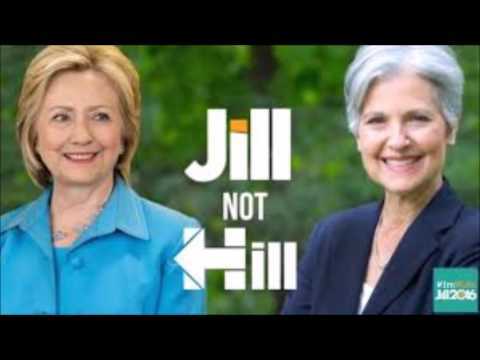 When Jill Stein campaigned for President she defended herself against taking votes away from Hillary. She claimed that Hillary was just the status quo, and not really progressive. The Green Party is now saying that they're not doing the recount for the benefit of any one candidate, but for democracy. Well, we know that they're not doing it for Jill, because she only got about 1% of the vote. She is now getting more contributions for the recount than her campaign generated. She has become a willing tool for those despondent over Hillary's loss. Clinton's campaign staff will be on the ground monitoring the recount. Trump's victory was pure democracy. He had no get out the vote organization, no ground game. If history will show any shenanigans in the 2016 election, it will be in this recount, not on November 8th. As someone who ran himself for office twice as an independent, I find this action disappointing. It depreciates the Green Party to the children's Junior Achievement section of the Democratic Party. In essence, Stein is a front for Hillary to recant her concession. Jill Stein's legacy will be the confirmation of Trump's victory, instead of the principles on which she had run.